Forensic art expert Peter Paul Biro has amended his federal defamation lawsuit in U.S. District Court against Advance Media and David Grann to include eight other defendants including Theresa Franks and her company, Global Fine Art Registry. The amended lawsuit, filed on December 5, 2011 in U.S. District Court - Southern District, New York, is the result of a July 12, 2010 New Yorker Magazine article in which Grann crafted Biro as a forger, – a criminal – according to the suit, prompting several follow-up articles to blatantly claim that Biro's family "had done jail time," that his father "was a forger," and that he "planted fingerprint evidence" on paintings. It also accuses Grann of using a "fraudulent" source in Theresa Franks, founder of fineartregistry.com, an on-line art sales gallery out of Phoenix, Arizona. The lawsuit includes Louise Blouin Media LLC among the defendants, and cites an article by Noah Charney in which he states, "Biro was part of a family of art forgers." 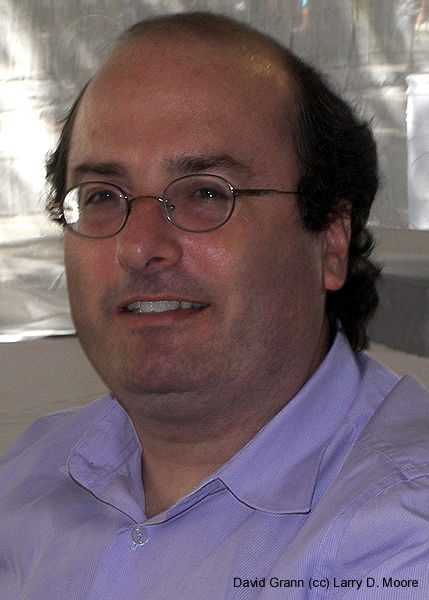 Charney is the founder and president of ARCA (The Association for Research into Crimes Against Art). That Charney and others may have actually misinterpreted the Grann article, or not have checked their facts and instead fabricated information may prove embarrassing, if not costly both in terms of money and their careers. According to defamationlaw.org, "the guiding moral is that the statements are strictly defamatory if they make allegations of criminal activities." According to public records, neither Biro nor his father, Geza Biro, have ever been charged with or convicted of any crime. In a phone interview, Biro would not elaborate on the case, but did say, "The only time my father was incarcerated was as a young soldier, as a prisoner-of-war, during World War II." The elder Biro passed away shortly after the allegations against the Biro's began to surface on the internet, most notably on Franks' fineartregistry.com, which Grann cites as a source in his article. Shortly after the initial federal lawsuit was filed, many articles which portrayed Biro badly were retracted. Manhattan Media published a public apology and the Daily Beast issued a correction. Based on the New Yorker article, Business Insider had included Biro on a list of "Nine of the Biggest Art Forgeries of All Time." After the suit was filed, they suddenly removed Biro from the list and renamed it, "Eight of the Biggest Art Forgeries of All Time." One media outlet clearly and publicly admitted they misinterpreted the Grann article and apologized, while some just disappeared off the internet. But, perhaps too little too late. One defendant has already chosen to settle. According to U.S. federal court records, publisher Dan Rattiner reached a settlement arrangement with Biro, the details and amount of which are undisclosed. Biro sought $1-Million from Rattiner. The New Yorker has built a reputation of thorough fact-checking. Their sources are said to be ironclad. But Biro's suit claims the New Yorker knew or should have known that one of the their primary sources, Theresa Franks, "had a reputation for misleading and fraudulent conduct." In an interview last September, Franks claimed: “We worked together for about a year on that story. I supplied him (Grann) with a good number of documents. So, he took that and ran with it. It was our (Fine Art Registry's) investigation that really was the catalyst for that article." While Franks openly credits herself, Grann wished only to speak off the record. When presented with Franks' claim that they "worked together" on the article, he referred to his attorney. In addition to Advance Media, Grann, Franks and Global Fine Art Registry, the lawsuit names as defendants: Business Insider, Gawker, the International Council of Museums, Paddy Johnson and the Georgia Museum. Biro is seeking $10-Million from Advance Media and David Grann on each claim and an amount to be determined by a jury from the remaining defendants. All photos and text are copyright protected and may not be copied or disseminated.